Superheroes aren’t the only ones with superpowers. 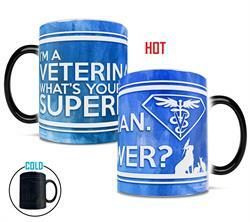 Celebrate the veterinarians in your life who keep our best friends healthy and happy with this Superpower Veterinarian Morphing Mugs™ heat-sensitive, color changing mug. Whether your drink of choice is coffee, tea, or hot chocolate, the exterior of this 11oz mug transforms from black as hot liquid is added! Watch as the heat-activated process reveals the hidden image in full vivid colors. 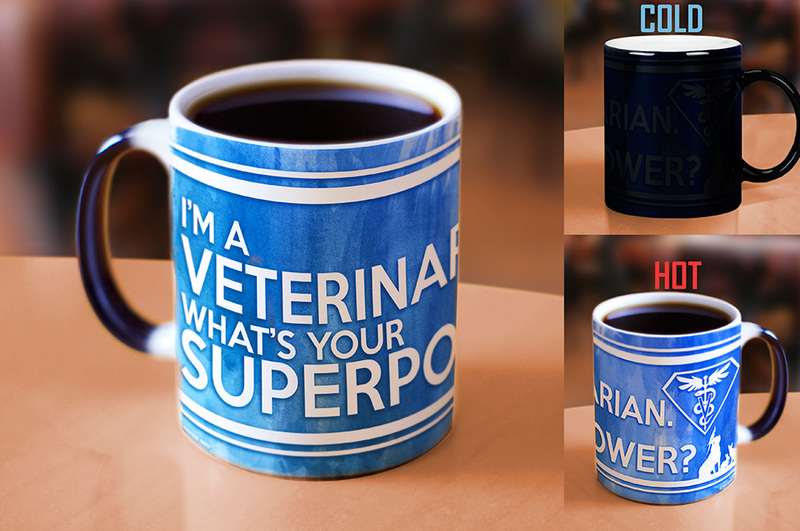 Officially licensed mug designed and printed in the USA by Trend Setters Ltd.
*While this mug may be used in the dishwasher or microwave, for the longest lasting, highest quality product, we strongly recommend against it.